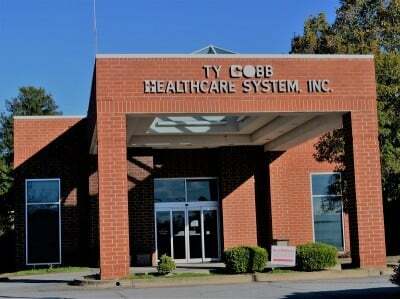 Recognizing a real need in the Tri-County area for extended medical care, and using as an example the al-time baseball great, Ty Cobb, a group of motivated and forward-thinking individuals appointed themselves as the first Board of Trustees for Cobb Memorial Hospital. The original meeting was held on November 6, 1947, at the home of Dr. and Mrs. Stewart D. Brown, Sr., for the purpose of adopting the by-laws pertaining to the charter. 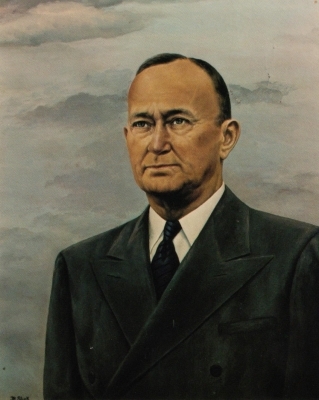 The original officers and trustees were: Tyrus Raymond Cobb, Glenbook, Nevada, donor of $100,000 toward the construction of Cobb Memorial Hospital, was elected Honorary Chairman for life; Hershel Cobb, Twin Falls, Idaho, was elected President; A. C. Skelton, of Hartwell was First Vice-President; Lawson McConnell, of Royston, Second Vice-President; Mrs. Stewart D. Brown, Secretary and Treasurer; Dr. S. D. Brown as elected Superintendent of the Hospital. The other trustees were: Charles N. Weatherly, J. R. Davison, J. C. Doyle and Linston S. Johnson, all of Royston; A.F. Garrison of Hartwell; Mrs. Brantley Little of Carnesville; C.A. Kidd of Lavonia, and Col. R. Howard Gordon of Danielsville. The hospital was dedicated on January 22, 1950, beginning as a 24-bed facility. Seven patients were admitted on the first day. Planning for an addition began in 1959 with construction for a 24-bed addition being completed in 1962 at a total cost of $151,540. Planning for the administrative wing was started in 1965 and in 1968 this wing was opened at a cost of $77,000. Today this is the front entrance of the hospital which contains all Administrative Offices and the Auxiliary Gift Shop. The same year a new kitchen was completed, providing food service to the patients and employees. Indicative of the services offered by the hospital and utilized by the community, growing pains again were noticed and in 1976 a surgery suite, emergency department, radiology department, and 38 additional beds were completed. The total cost of this expansion was $1,700,000. Closely behind this addition, in 1980 additions to physical and respiratory units were opened. In 1985 the hospital opened a 6-bed Intensive Care Unit. The Intensive Care Unit is equipped with state of the art equipment and is staffed 24 hours per day by specialty trained Intensive Care Unit nurses. The hospital also opened a 12-bed Ty Cobb Personal Care Unit. The Personal Care Unit was the first Personal Care Unit to open in a hospital in the State of Georgia. The hospital currently has 95 hospital beds which includes the 6-bed Intensive Care Unit and 12-bed Personal Care Unit. It is one of the most modern facilities in N.E. Georgia, boasting at the hospital and nursing home a personnel base of some 300 employees- one of the largest in the Tri-County area. Patient care, through the many years of the hospital’s existence, has continued to improve in numerable tangible ways. 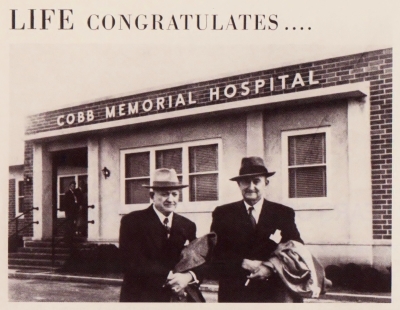 But at Cobb Memorial Hospital, it is truly the intangibles- the devotion of the employees, the dedication of the doctors, the expertise of the trustees, and the spirit of good will- that make Cobb Memorial Hospital what it is today! 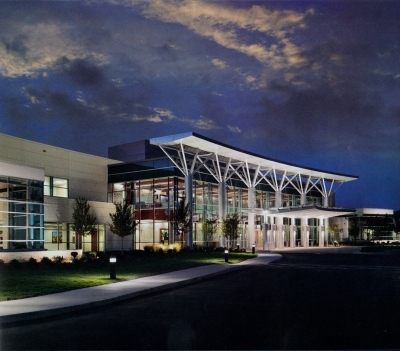 The Hospital has been served by a number of Superintendents and/or Administrators and they are: Stewart D. Brown, Sr., Cornelia Reeves, Glen M. Davis, G. Dennis Harris, Jr., L. Roberts Greer, William V. Maxwell, Myron L. McDonald, Douglas L. Buckner, Leonard M. Seymour, Jimmie W. Harden, and the present Administrator H. Thomas Brown. 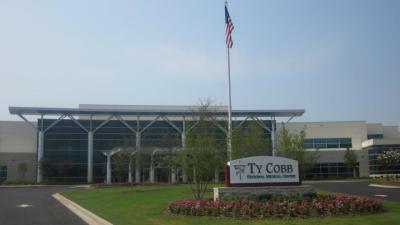 Cobb Memorial Hospital named in his family's honor. 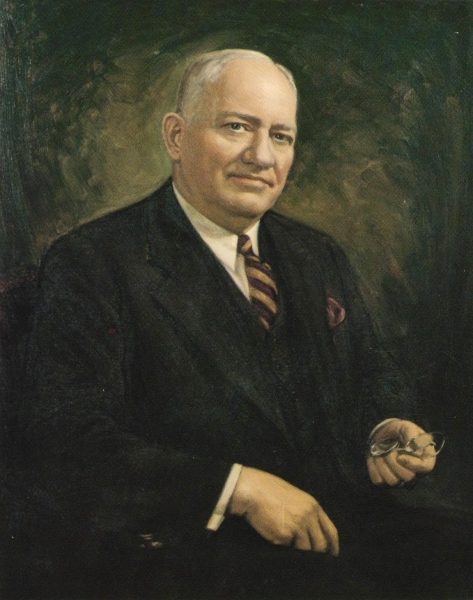 Stewart Dixon Brown, Sr. M.D. Brown Memorial Convalescent Center named in his honor.